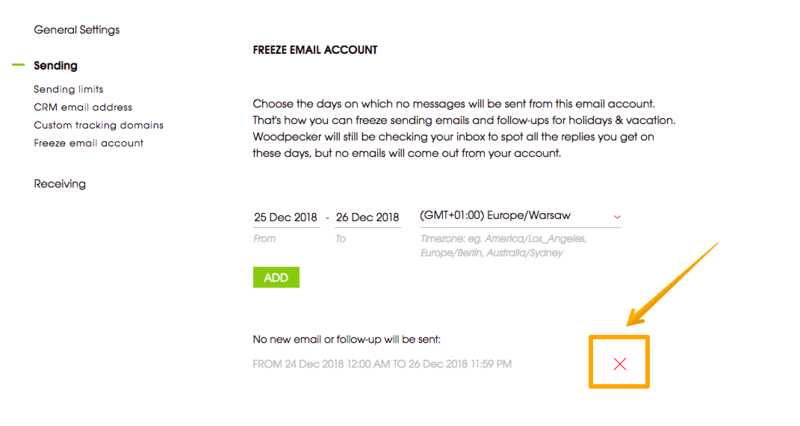 You can stop sending messages with Woodpecker from a specific email account for a scheduled period of time. This option is useful if you need to take a few days off (e.g. 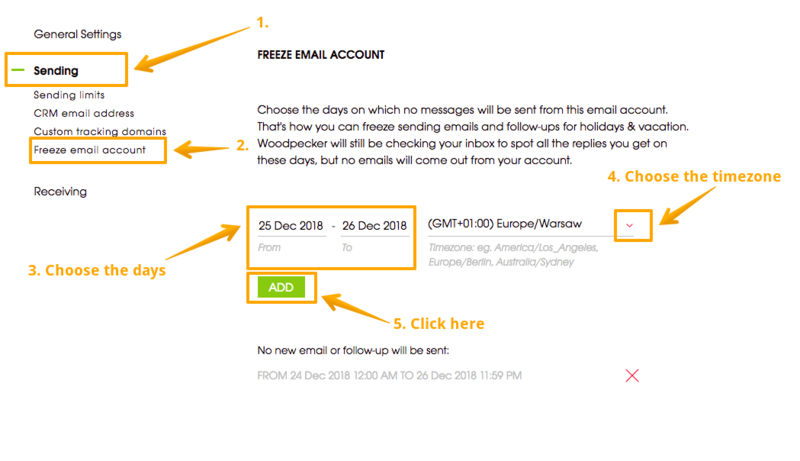 due to holidays) and you are running multiple campaigns on your account. To do pause the sending from an email address you need to go to Settings → Email Accounts → Edit. You may have multiple dates scheduled. If you need to remove an entry, simply click the X button.